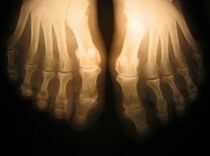 Here’s how to prevent gout from flaring up — usually in the big toe. Plus, lots of home remedies — from all-natural products to foods to avoid and foods you should eat. Foot pain usually signals something more serious going on in your body. In the same way that foot acupressure points can be used to relax the body, the foot can also signal when the body has issues that needs to be addressed. Here’s how to determine what your feet are telling you.